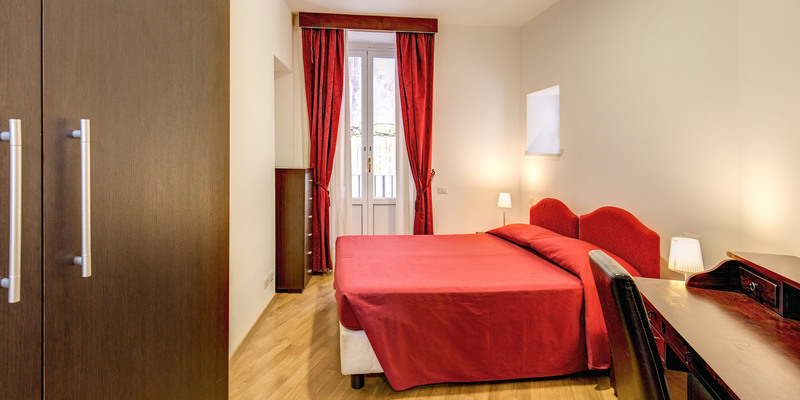 COMFORTABLE APARTMENTS IN THE CENTRE OF ROME! 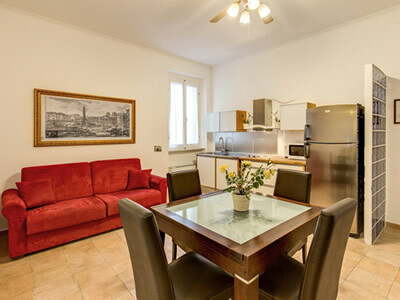 The Apollo Apartments Colosseo Rome offer 12 clean & comfortable self catering holiday apartments in the centre of Rome. 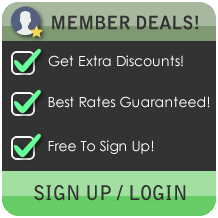 Our low cost accommodation is perfect for families, groups of friends and those on a budget. 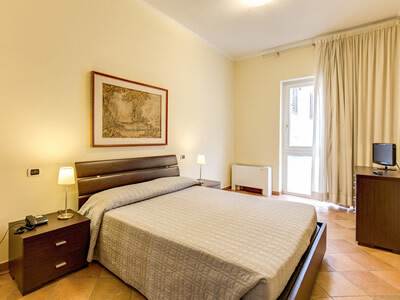 Our family run apartments are in a great location within walking distance of the Coliseum and other top attractions in addition to enjoying excellent transport links. 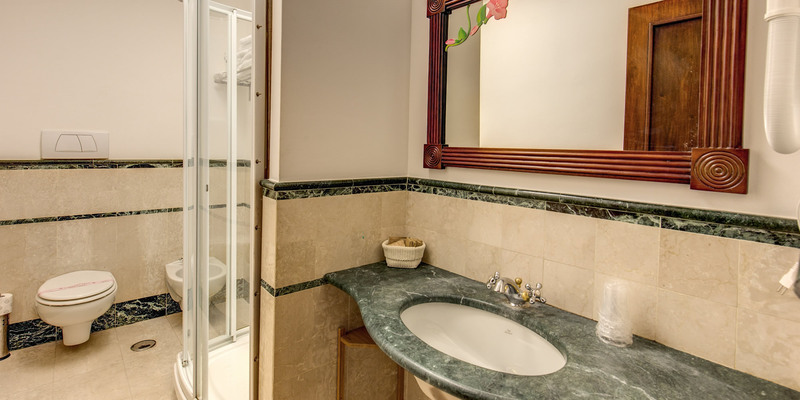 Each apartment is decorated & furnished in a comfortable style with marble bathrooms, seating and a kitchenette. Available in a variety of different occupancies, our apartments also enjoy the latest modern conveniences for the modern traveller. Read more below. 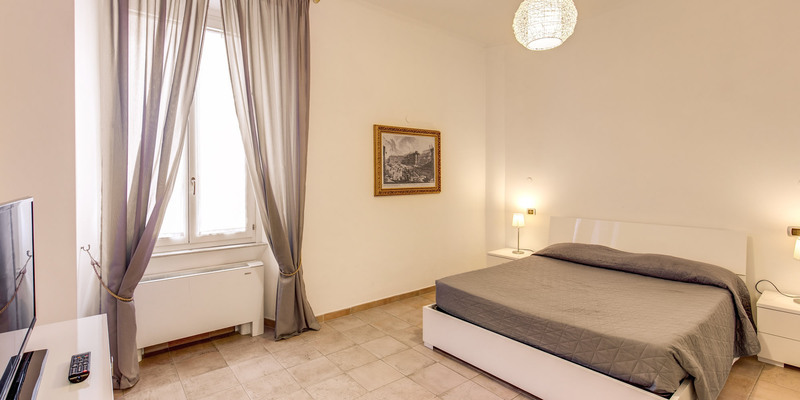 This apartment is composed of a large bedroom with a double bed, a livingroom with a double sofa bed and a fully equipped kitchenette, a bathroom with shower or bathtub and our hotellerie. 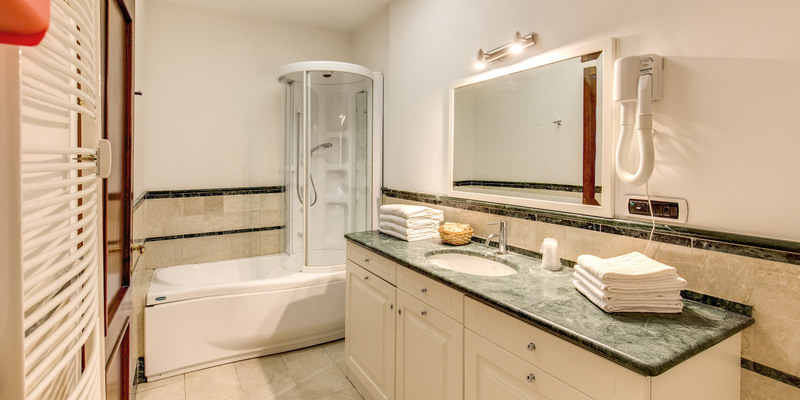 Light décor and tiled flooring complements the quality furnishings. The apartment also enjoys a Flat Screen TV with Satellite channels, Wi-Fi Access, central air conditioning and heating, towels and sheets. 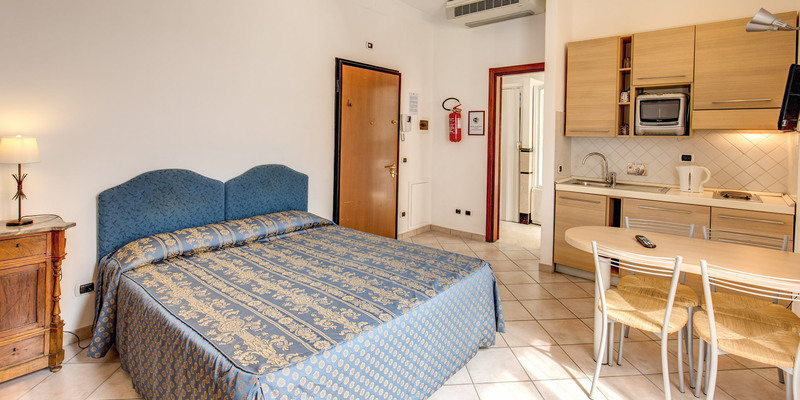 APARTMENT FACILITIES: Air Conditioning; Heating; Closet; Dining Room; 1 Large Double Bed; 1 double Sofa Bed; Spacious marble Bathroom with shower or bathtub, Toilet; Flat-screen TV with Satellite Channels; Dining area and Kitchenette; Refrigerator, MiWi-Fi Access, Towels and sheets. 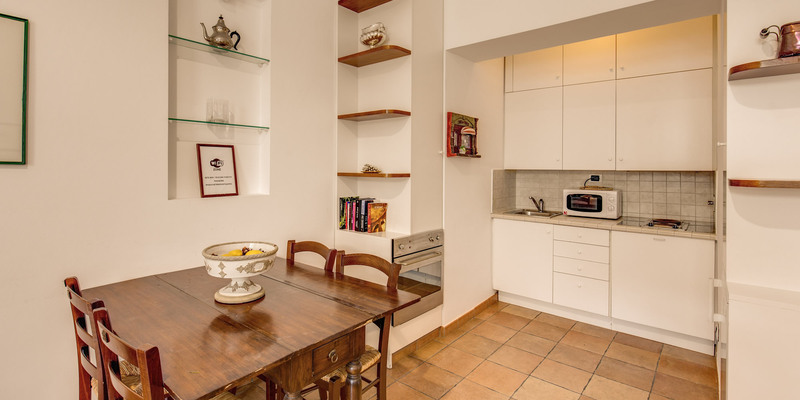 This spacious apartment features two bedrooms with a large double bed in each one, a livingroom with a double sofa bed and a fully equipped kitchenette, a bathroom with shower or bathtub and our hotellerie. 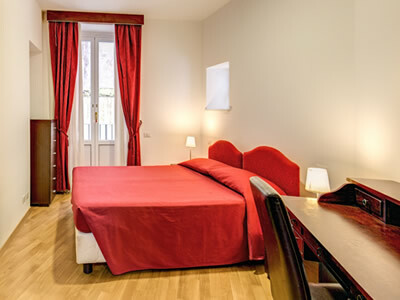 The apartment also enjoys a Flat Screen TV, Wi-Fi Access, central air conditioning and heating, towels and sheets. 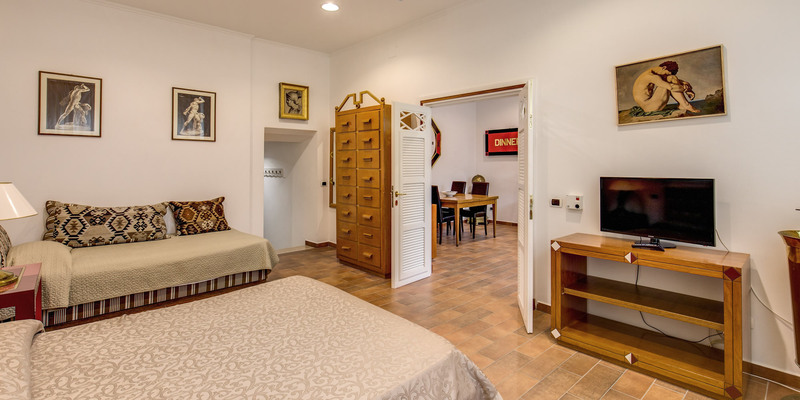 APARTMENT FACILITIES: Air Conditioning; Central Heating; Closet; Dining Room; 2 Large Double Beds; 1 double Sofa Bed; Spacious marble Bathroom with shower, Toilet; Flat-screen TV; Dining area and Kitchenette; Refrigerator, Wi-Fi Access. This modern and spacious apartment features 1 bedroom with a large double bed, another bedroom with a bunk bed, a livingroom with a double sofa bed and a fully equipped kitchenette, a bathroom with shower and our hotellerie. The apartment also enjoys a Flat Screen TV with Satellite Channels, Wi-Fi Access, indipendent air conditioning and heating, towels and sheets. 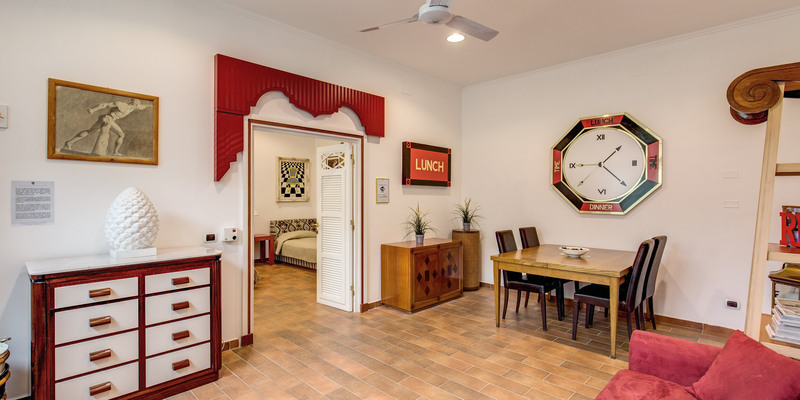 APARTMENT FACILITIES: Air Conditioning; Heating; Closet; Dining Room; 1 large double bed, 1 bunk bed; 1 double Sofa Bed; Spacious marble Bathroom with shower, Toilet; Flat-screen TV with Satellite Channels; Dining area and Modern Kitchenette; Refrigerator, Wi-Fi Access.